Forefront, the membership association for nonprofit organizations and grantmakers in Illinois, is pleased to announce the opening of a regional office to support Western Illinois. The new office will be Forefront’s third regional office, in addition to offices in Chicago and Springfield. With the opening of this new office, a Regional Coordinator will be hired. More information about the position is available here. The new Forefront office and staff position is in partnership with Galesburg Community Foundation. Forefront’s new office will act as a hub for social good in Western Illinois, aiming to strengthen local nonprofit and funder organizations through leadership, professional development, and collaboration. Forefront will provide opportunities for networking, education, policy engagement, leadership development, partnership and collective action. Forefront builds a vibrant social impact sector for all the people of Illinois. 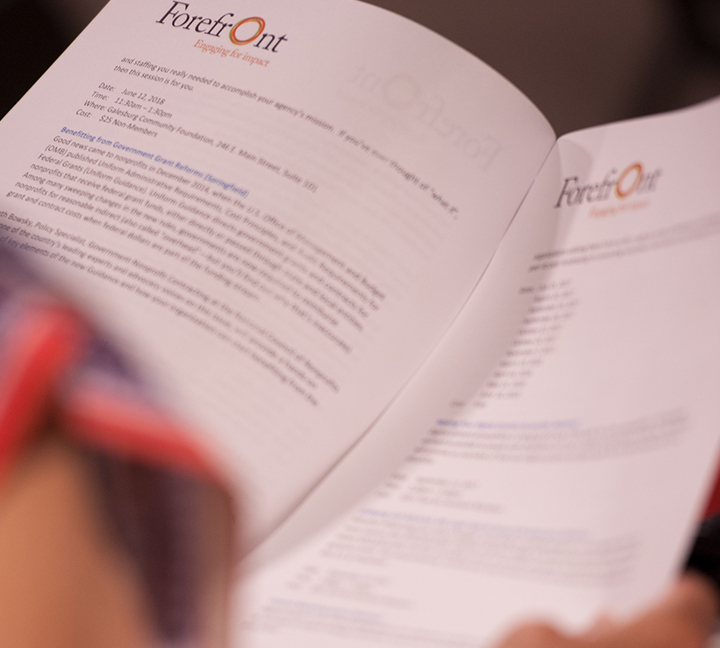 Forefront, with offices in Chicago and Springfield, is the nation’s only statewide membership association for nonprofits, grantmakers, advisors, and sector allies. We provide education, advocacy, thought leadership, and facilitate collective action around issues that are important to our Members and to the sector. Forefront’s members number over 1,100. Learn more at http://myforefront.org. At Galesburg Community Foundation we strengthen local philanthropy to support healthy communities. To learn more about Galesburg Community Foundation and our work to develop resources that equip and empower Knox and Warren Counties through local philanthropy, visit www.ahealthycommunity.org or call 309.344.8898.